This book is a fantastically varied tale that is compelling and believable science fiction. He’s now left to try and survive alone on Mars until the next mission to Mars lands, over four years later. There’s a lot going on in this book, so first things first. Let’s talk about Mark. A very big chunk of the book is Mark’s mission logs, which he starts taking when he realizes he’s stuck and is deciding that he can, in fact, survive for a rescue mission. The logs read much like a personal journal, and we get a sense for Mark’s personality. Mark, we’re told, deals with much of his stress through humor. The first chapter or so makes sure we’re aware of this aspect of his personality. To be honest, I was a little turned off by it at first. Weir lays it on a little thick. But, the more Mark focuses on his mission and survival, the more balanced his voice becomes. Mark is a very creative thinker. Sometimes it was a little disappointing that we didn’t get to see his brain working through the problems he faced. Instead, the reader sees a lot of the post-idea formation. The actual thought process doesn’t really make it into his logs, but, hey, that’s what a log is for: recording the actions and reasons behind them for future review. We do, however, get a lot of Mark’s reactions to his survival missions and problem-solving attempts. That’s probably where some of Weir’s best work is. Mark’s records where he is panicking are very believable. The story is counter-balanced by third-person narrative interludes of what is happening in the NASA control centers. Because they can’t always communicate, the NASA employees who find Mark and work to rescue him are often bustling. Weir very often shows the organization’s thought process and how different it is, at times, from Mark’s. What is very cool in this is that we get to see the way that the thought processes, though different, often come to similar conclusions. It also provides a contrast between the more organic self-preservation attempts Mark is making and the rigid institutional attempts that are working to bring him home. This results in some clashes, but the frustration is on both sides and their cooperation is that much more valuable for it. The only thing I occasionally didn’t like was the quick problem-resolution sequences that occurred. It sometimes seemed that there were very quick solutions to the problems Mark had. When he was looking for a food supply to augment his provisions, the solution was straight forward. Surprisingly there were very few hiccups with implementing the solution. I expected more sustained problems. Another instance of this was when Mark is travelling. There are some very serious issues with his travel plans, some of which, we’re told by the NASA narratives, he couldn’t see coming until it was too late. It felt like there were a lot of times that Mark’s problems were overblown in their presentation. That being said, the story is very fast paced and we see a lot of creative thinking (on both Mark and Weir’s behalves). As far as “realistic” science fiction goes, this isn’t just enjoyable, it’s very well presented. The characters are likable, there is a sense of urgency, and the story is compelling. A solid 4 out of 5. I received this book for free for an honest review via Blogging for Books. 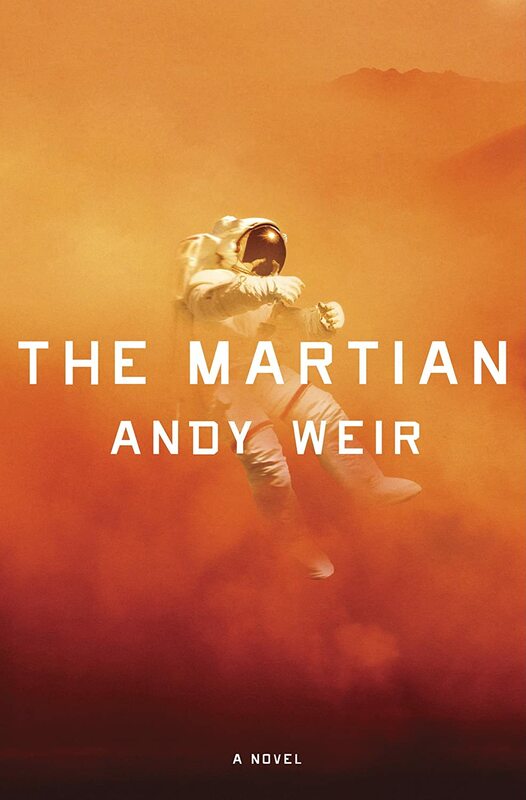 This entry was posted in Reviews and tagged Andy Weir, Ares 3, Ares 4, book reviews, Books, Mark Watney, Mark Whatney, NASA, Science Fiction, The Martian, Weir.